This summer, the .gif file format turns 30. 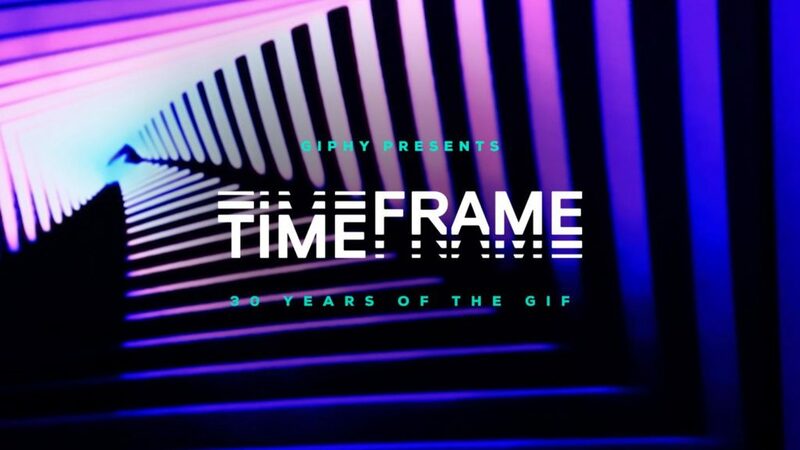 The ubiquitous GIF sharing platform, GIPHY, will mark the occasion by having 30 artists spiriting GIFs away from the digital world and into the physical for a gallery show in New York City called TIME_FRAME. As the above exchange illustrates, the people working at CVRTAIN are extremely nice. They welcome you in, explain what’s going to happen, and guide you around like you’re a star. And really, you are. 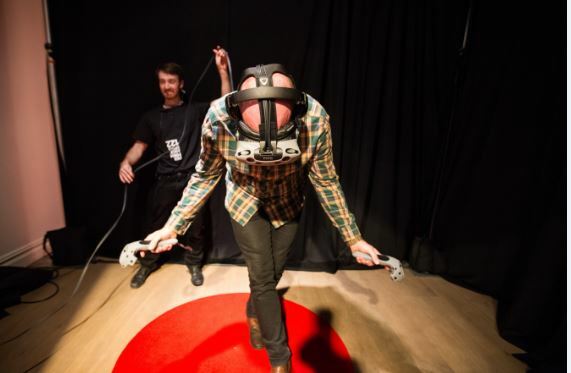 CVRTAIN is a VR experience in which you put on a headset and stand center stage in a huge theater in front of an audience of thousands. 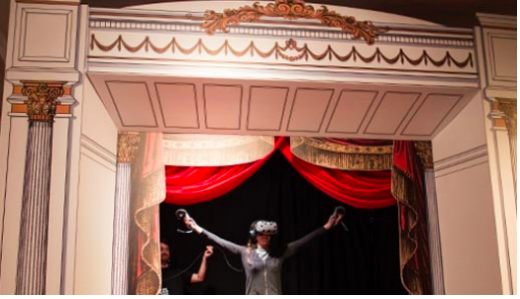 The theater and audience are virtual, but your actions, aided by two sensors that act as hands, produce seemingly real responses. Glowing disembodied hands float in front of me. Stardust magically trails as they fly through the air. Suddenly, a giant red curtain parts the proscenium and reveals a sea of silhouettes all cheering for me. As I bow and gesture, the glowing hands mimic my moves. The audience heaps more adulation. The curtain closes, and I feel a hand on my shoulder. 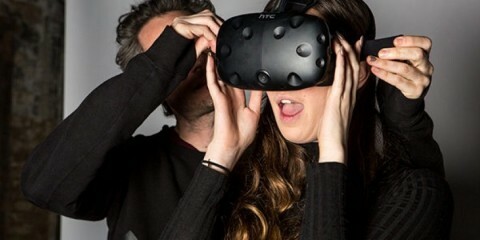 Emmy award-winning experiential director Yehuda Duenyas of m ss ng p eces was commissioned by Performance Space 122 (PS122) to create VR experience CVRTAIN for PS122’s Coil 2017 festival, which articulates the vitality of live performance in New York City. Slated to run January 3-15 at 151 Gallery in New York, the five-minute experience places the viewer onstage in the midst of a curtain call, in front of an adoring audience that reacts based on the viewer’s gestures and actions. 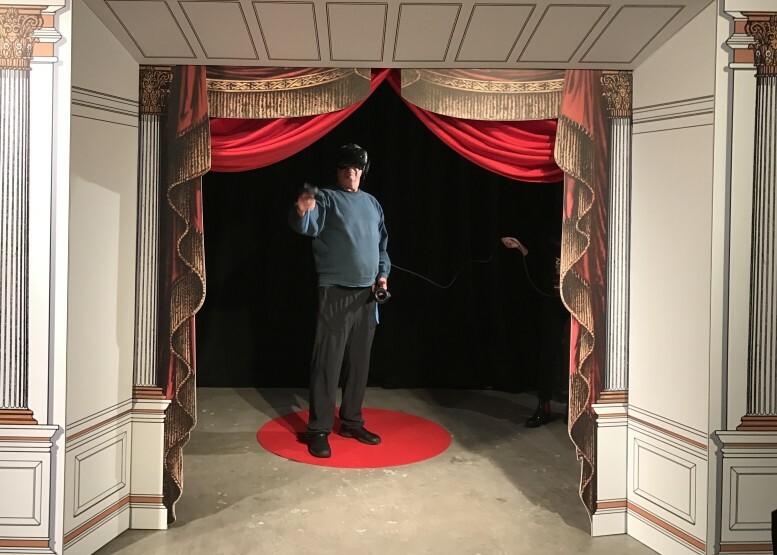 Audience members step onto a small stage and slip on a virtual reality headset transporting them to an elegant theater, where an audience of thousands will greet them with a passionate ovation. That ovation will change — growing more enthusiastic or more disgruntled — depending on their responses. 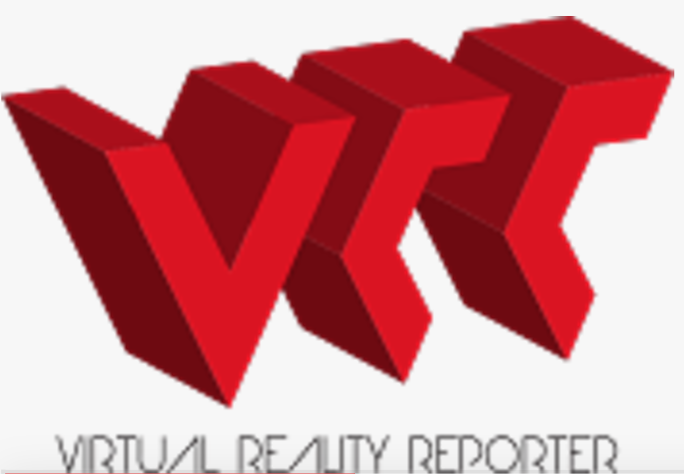 CVRTAIN is a virtual reality (VR) experience starring you. Placed center stage in a beautiful theater, the curtain parts to reveal an audience of thousands teaming with adulation. Do you freeze in the spotlight, or bow graciously? Every action produces a different reaction in your audience: thunderous applause, feet stomping, cameras flashing, maybe even booing. 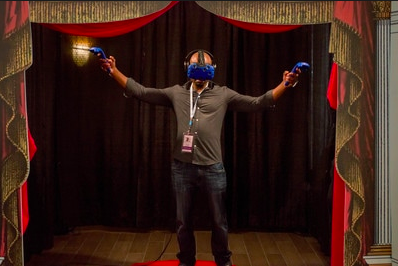 An entire audience’s emotions are at your virtual command, but only until the curtain closes. 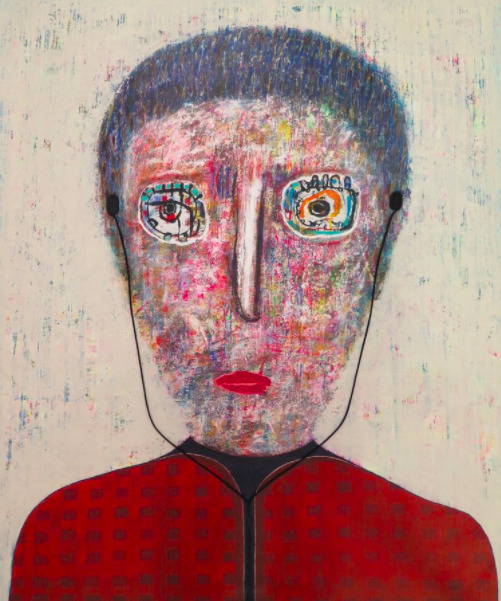 “The color is natural in me,” Hector explained when I spoke to him a week after his opening at the Bryant Toth Fine Art show at Gallery 151 in Chelsea. 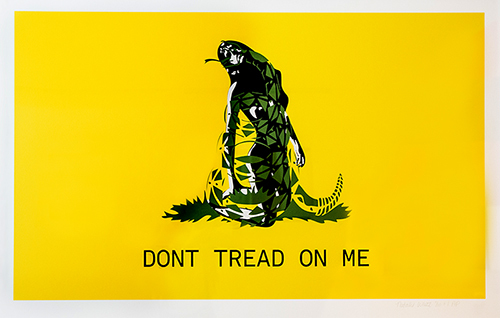 Part of an exhibition that stemmed from the American Bryant’s love for Cuba and Cuban artists, whose work has been so difficult to traverse US borders for so long, Hector’s work reveals a compassion for the people of his country and their indomitable collective spirit, one that he certainly shares. HECTOR FRANK – Bridge to Cuba, is Mr. Frank’s second solo exhibition in Manhattan New York. 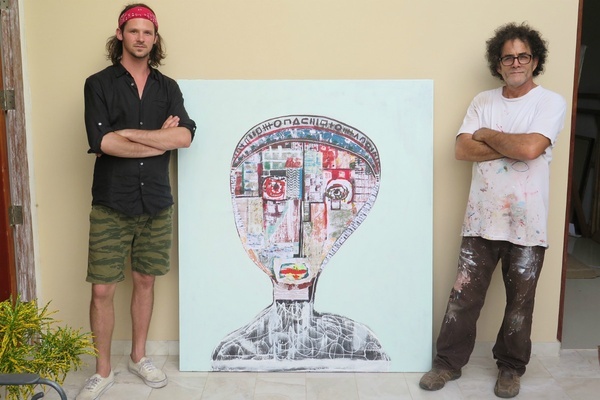 Following a year of notable success, global exposure, and a nearly sold out exhibition in 2015, we’re honored to share a new collection of his recent work.